Introducing the AF-S NIKKOR 600mm f/4E FL ED VR, the world’s lightest*1 600mm*2 f/4 super-telephoto FX-format compatible lens that’s designed to provide the pinnacle of optical precision with the latest NIKKOR technology. 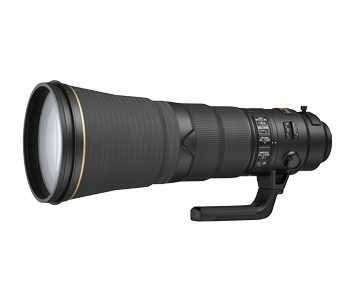 The AF-S NIKKOR 600mm f/4E FL ED VR incorporates two fluorite lens and Extra-Low Dispersion (ED) glass elements, together with a Nano Crystal Coat that reduces flare and ghosting. It also features an electromagnetic aperture mechanism that allows for stable exposure control, and a fluorine coat that effectively repels dust, water, grease and dirt for easy cleaning. With the integration of a Vibration Reduction (VR) system that delivers an effect equivalent to a shutter speed of 4.0 stops*3 faster, the AF-S NIKKOR 600mm f/4E FL ED VR is engineered towards uncompromising clarity and sharpness that’s primed to go the distance of professional demands. The AF-S NIKKOR 600mm f/4E FL ED VR is the world’s lightest*1 600mm*2f/4 super-telephoto lens at approximately 3810g by taking advantage of two fluorite lens elements combined with magnesium alloy in the lens barrel. 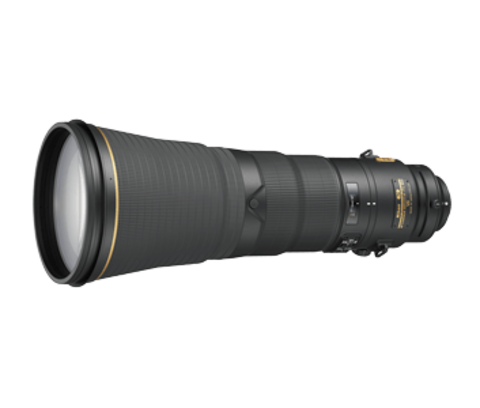 This feat of engineering provides improved durability and significant weight reduction, further reinforcing your ability to travel around the world or on the road to create impeccable telephoto imagery. A Nano Crystal Coat, which features nano-sized crystal particles that effectively reduces flares and ghosting, is implemented together with fluorite lens and Extra-Low Dispersion (ED) glass elements in the AF-S NIKKOR 600mm f/4E FL ED VR. These refined optics are crafted for superior sharpness and colour correction by minimising chromatic aberration and improving light flow through the lens, which reduces the inconvenience of unnecessary post-processing and allows for unrivalled optical performance. 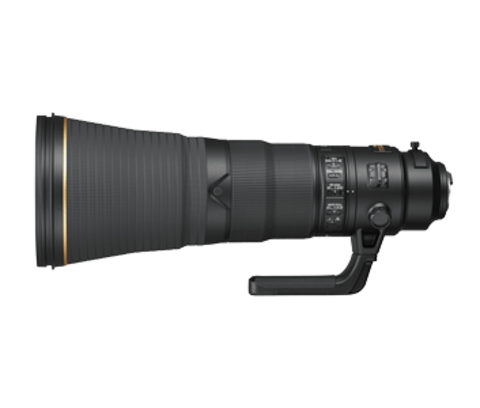 The Vibration Reduction (VR) system in the AF-S NIKKOR 600mm f/4E FL ED VR comes in two modes. In NORMAL mode, the VR system provides an effect equivalent to a shutter speed 4.0 stops*3 faster, ideal for demanding handheld situations. 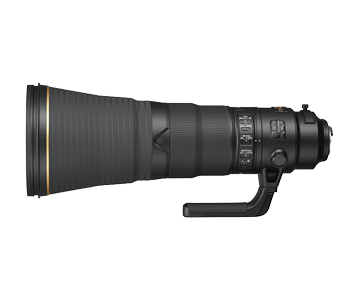 In SPORT mode, the AF-S NIKKOR 600mm f/4E FL ED VR is the perfect tool for shooting high-action sport scenes as the VR system allows for improved viewfinder stability and enhanced blur-reduction capabilities. Built into the AF-S NIKKOR 600mm f/4E FL ED VR is an electromagnetic aperture mechanism that provides remarkable autofocus (AF) tracking and stable auto-exposure (AE) control, which comprises of an aperture blade unit with drive mechanism that is controlled via electric signals from the camera body. With the inclusion of the electromagnetic aperture mechanism, you can maintain optimum exposure, focus and accuracy even during high-speed telephoto shooting. Crafted to brave the harshest of shooting environments, a fluorine coat that effectively repels dust, water droplets, grease or dirt for easy cleaning is applied to the lens front. For improved durability and to facilitate a faster and smoother switching between horizontal and vertical orientations, a tripod collar ring with bearings is employed to ensure that the AF-S NIKKOR 600mm f/4E FL ED VR remains as manoeuvrable as possible, allowing for improved opportunities for framing and composition. *1 Among fixed focal length (prime) autofocus lenses with a focal length of 600 mm, maximum aperture of f/4, compatible with DSLR cameras equipped with a full-size image sensor, available as of July 2,2015. Statement based on Nikon research. *2 When attached to a DX-format digital SLR, the angle of view is equivalent to that of a lens with a focal length of 750mm in FX/35mm format.